Found 2 file extension associations related to World in Conflict and 1 file format developed specifically for use with World in Conflict. 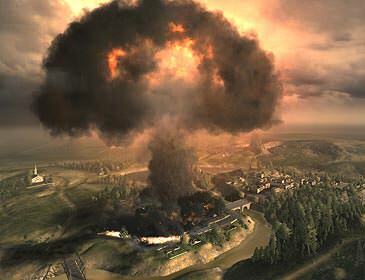 World in Conflict is set in an alternate-history version of 1989. Instead of the Berlin Wall falling and communism collapsing, the Soviet Union launches an assault on Western Europe, and the United States rushes its forces in to aid its Western allies. Four months into the conflict, after the US Navy has been attrited down, the USSR launches a surprise invasion in Seattle and pushes inland. In the 14-mission single-player campaign, you play as a company commander who is part of the meager US defense; there is no campaign from the Soviet perspective, though you can play as the Red Army in multiplayer. However, the campaign twists and weaves, letting you experience a sample of the European conflict, battle in remote areas of the Soviet Union, and bring the fight to New York City. If you need more information please contact the developers of World in Conflict (Massive Entertainment AB), or check out their product website.